But starting this fall, series publisher Activision will offer a service you can pay for each month: the premium grade version of something called Call of Duty: Elite (don't panic... there's a free version coming too). It's not clear which other Elite elements will be exclusive to the paid version, let alone what a premium membership will cost. The paid version is at least confirmed to include more than just access to Elite. 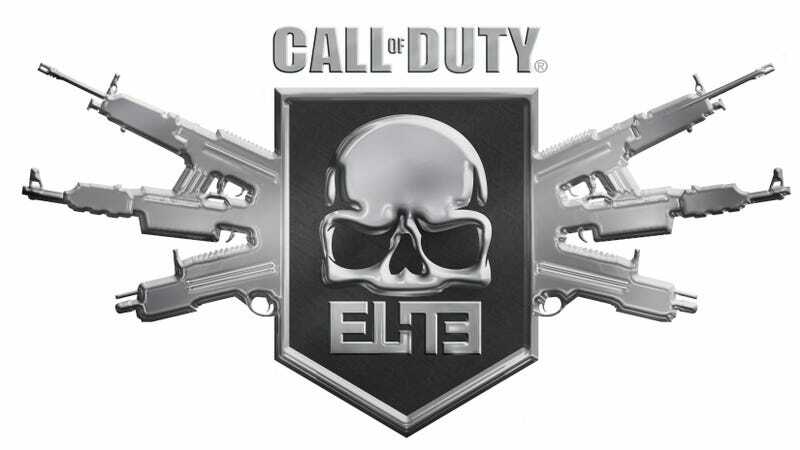 During an unveiling of the service, Jamie Berger, vice president of digital business at Activision, told reporters that a premium Elite membership will give subscribers a constant flow of Call of Duty content, including map packs, which have previously been available a la carte. Berger stressed that anyone who strictly buys a CoD game and doesn't pay for Elite can expect campaign, co-op and multiplayer "for no extra charge." He didn't elaborate on why someone would opt for the premium Elite offering of CoD map packs and other downloadable content, though one could imagine that those premium Elite members might get access to such added content early or at a bulk discount. Two of us at Kotaku were recently given an advance demonstration of Elite, using a version of the beta build that will launch this summer and tie into Call of Duty: Black Ops. The screenshots that follow, all supplied by Activision, show off the features of Elite that were presented in our demo. (Click each to enlarge.) The Elite officials wouldn't tell us which of the features we saw would be offered only to paying customers—just that "many" of those we saw would be free—so as you check out the following screenshots and our accompanying descriptions, you're welcome to guess what you'll have to pay for and what will be available for all. Players will also be able to interact with each other through the Theater, which will allow users to host videos of their favorite CoD moments and comment on them. One of Elite's more clever features is its ability to read the meta-data of the Call of Duty videos uploaded to it and automatically tag each video with the names of the players in the captured match. Every player will easily know which videos they were in, intentionally or otherwise. Thanks to that bit of Elite tech, an unsuspecting Call of Duty player might discover that they were the victim—or the accidental star—in some popular Black Ops killstreak video. A Program Guide in the Events page will list upcoming challenges. Some challenges will involve uploading videos or screenshots that meet certain contest criteria. So-called Lone Wolf Operations will challenge players to perform certain one-off feats in multiplayer—say, a set number of kills in a game mode that day—and could, the Activision people who showed us Elite said, win a player anything from an in-game badge to a real Jeep. The grander Events will pit players against each other in weeks-long tournaments that are set up for CoD gamers at different levels of skill. It's not clear yet whether the tournaments will only involve comparisons of players' stats against one another during the tournament or if players will ever be expected to actually play specific CoD matches against one another. (A Beachhead developer did say that the Elite team will be able to sniff out attempts to cheat in the tournaments by those who might attempt to pad their stats by playing against of friends who pose at shooting targets for them.) Winning tournaments and other contests will earn players Trophies, new status symbols that will surely motivate players the way Xbox Achievements and in-game badges already do. The Call of Duty series has been a blockbuster for Activision, one that has, on the strength of its online multiplayer, kept gamers busy for months after each release. The series has earned the publisher of the game piles of money. For a while it has seemed that some sort of premium service was inevitable. If people pay $15 a month to play World of Warcraft, why wouldn't they pay to play CoD? Yet Activision appears to have decided that it can't suddenly start charging for CoD multiplayer, so Elite results as the company's best option to find an alternate way to make money on multiplayer.